From tournaments across Asia and Africa to the more renowned European and US PGA tours, golf’s global reach sees thousands of professionals playing year-round and worldwide. That’s good news for punters, with a huge array of betting options available to help them pick plenty of value selections. However, how do you know who to bet on in golf? Well, let’s take a look at our best golf betting tips below. Golf fans and punters have never been more knowledgeable when it comes player and course performance metrics. That’s thanks to the mass of detailed and revolutionary statistics. The PGA Tour website is by far the most advanced platform to source crucial clues when it comes to figuring out the most relevant stats for a particular course and tournament. The strokes-gained concept has taken off and provides vital insights into statistics that affect the quality of each golfer’s performance. Then there are the more traditional numbers on driving length, accuracy off the tee and greens in regulation (GIR), which looks at how many greens a player hits that they’re expected to hit – for example landing on the green in 2 shots on a par 4. Unsurprisingly, the players that top these statistics are regularly collecting a winner’s cheque. It’s also vital to do your homework on the course being played at any given tournament and determine which stats are most relevant. If a course punishes players who stray off the tee, as was the case at the recent US Open where eventual winner Dustin Johnson produced a driving master class, lean towards those who top the driving accuracy department. Putting is often a key benchmark, so use the strokes-gained putting statistic at venues where there is a premium on performing well on the greens. With the glut of stat-driven details on offer, there are no excuses for not sifting through the numbers and marrying them to the type of test at hand. With big prices on offer, the main golf betting option is the overall winner market. Betting is not simply about picking a winner. It’s about picking a winner at the right price. If you don’t get odds that provide value, you won’t be a long-term winner. There can be value found leading into each event, with top-10 ranked players regularly starting from 20/1 and above for outright victory. This is a huge price given these are multiple winners on the PGA Tour and often compete at the business end of majors. Granted, choosing a winner from large field is not as easy as correctly tipping the outcome of a football match, but it is always worth studying current form and a particular player’s history at a given course to shortlist the potential victors as the payouts are greater. Do rookies perform well at the course? Is there are tendency for the tournament to produce surprise winners, or do favourites generally salute? How have the favourites fared there and what has their recent form been like? Get the answers to these questions to help you find out which players to short list, and who to avoid. There is more on offer than just the overall winner wager. Golf tournaments are four-day events, and many of us like to see quicker returns, not to mention safer and smarter strategies than trying to pluck a winner from a field of over a hundred. Here, the bookmaker pits two (2-ball) or three (3-ball) golfers together against each other, offering a price for each player to be the lowest scorer over 18 holes. The bookmakers will often pit the higher-ranked golfers against each other, making it harder to correctly pick a winner. If top-ranked stars are teeing off alongside one another, good luck determining which of the three will shoot the lowest score on the day. The opportunities for profits usually lay at the other end of the spectrum; amongst the lower ranked players. Recent form is vital when making any golf bet, but never more so than in this category. If a player is in the middle of a slump and has been missing cuts, bet against them. If you’re lucky, you’ll spot an in-form player playing alongside one or two golfers who have struggled recently; that’s your time to pounce. Match play tournaments, whereby players play against each other in a knockout format, open further doors to profitable golf betting. Educating yourself on a given player’s win-loss record, which can be done easily through a Google search such as “Jason Day match play record”, will give you a clear idea of their chances in a head-to-head match. Familiarising yourself with strong match play performers will increase your chances of finding value in events like the Ryder Cup. There is also often the betting entry listed as “The Field”, which includes all the golfers that are taking part in the tournament but are not listed by the bookmaker. This is because each individual golfers odds are too high to be offered. Tempting as it may seem to have the opportunity to back more than one golfer through a single bet, be wary of this bet as the field generally consists of lower-ranked players with only a small chance of winning. There will always be opportunities for players in ‘the field’ to take their chance, and this is often when poor weather levels the playing field somewhat, so keep an eye out. Many tournaments, particularly the four majors, offer other side bets that present additional opportunities. Examples include a bet on the winner’s total score, whether there will be a hole-in-one during the tournament and hypothetical head-to-heads between players not playing alongside one another. Again, research is the key with all of these. Research would tell you that odds on the ‘hole in one’ selections, and other similar ‘for fun’ bets, will almost always be absolutely terrible and offer no value. Avoid these. Review past editions of the tournament to get a sense of what type of scores winners posted in years gone by. Review recent form for the hypothetical head-to-head market. The more homework you do, the more you’ll know whether a bet seems to be a profitable one or not. A golf field starts to take shape in the first two rounds, with a new favourite often emerging from the pack at the halfway point. This is where the opportunity to exploit some value in the winner’s market presents itself, particularly during the rounds themselves. However, don’t just start placing random in-play bets on those amongst the leaders. Analyse the course and familiarise yourself with the scoring average of each hole. You can normally find these statistics by Googling the course or tournament name along with “hole statistics”. If the golfers you fancy as favourites are headed into a difficult stretch, it may be valuable to hold off betting on them until they come out of it, hopefully unscathed. Conversely, if your picks are approaching a stretch with good scoring opportunities, such as those with par 5s that are reachable in two shots, it’s time to place your bets. This is a strategy that could be employed when trying to trade golf odds as well as regular betting. Watching the action is also vital, particularly at the business end of tournaments when leaders feel the pressure to close out the win and can often relinquish their advantage. If a player has strayed off the tee and faces an uphill battle to avoid bogey, it is a great opportunity to bet against them in the overall winner market as long as the odds are favourable. The length of golf tournaments also plays into the in-play trader’s favour, leaving plenty of time to adjust position. A fast start isn’t always a sign that the leader will run away with a tournament, with start-to-finish victories few and far between. Look out for in-form, consistent golfers who lurk around the top 10 leading into the final rounds, as these are the players often among the contenders over the closing holes of each tournament. This is because golfers tend to play more conservatively at the start of a tournament, and take more risks in the final round. Don’t forget about the weather either when considering a live bet. If a player has finished their round and is in the clubhouse with a respectable score, it may be worth looking to them for value. Bad weather often makes life incredibly hard for those remaining on the course. 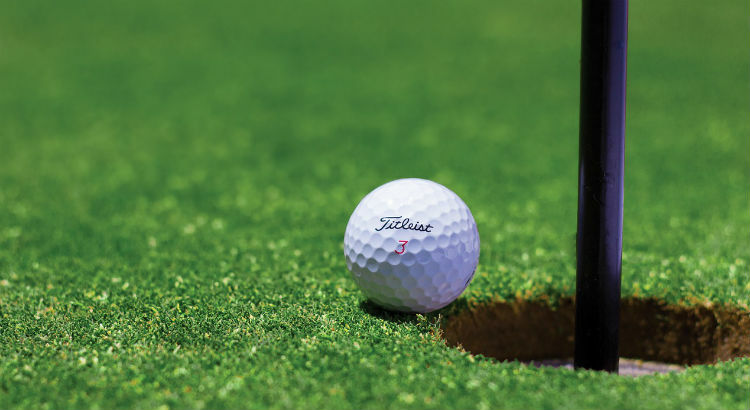 The dynamics of a golf tournament can change in the blink of an eye so make sure you stay up-to-date and alert to all the factors during play. Keeping up-to-date with form, statistics and in-play scenarios will determine success in golf betting. There are many variables that affect profit potential, which can grow exponentially or diminish with a single stroke. Staying informed and alert, both before and during tournaments, will set you up for filtering value selections from unprofitable ones.